When people think about their annual holiday or a new car they give it some thought. They do research, get clear on what is important to them - for a car - budget, engine size, insurance group etc. and then see what is available and make sure it meets their needs. Choosing to get a new job or to focus on regaining the love for our current job will benefit from a structured approach and this ebook is going to help you do just this. Follow the steps, complete the exercises and feel more confident in your decision making. In this ebook we focus on career goals, but the approach is equally valid for other areas of your life. This ebook contains 11 easy steps and simple activities to help you get started. 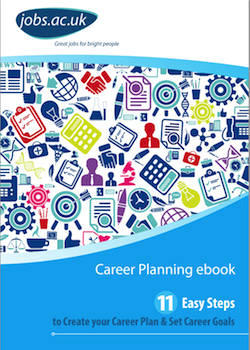 Download the Career Planning ebook now! winning career psychologist and Director of Amazing People. ‘Now You’ve Been Shortlisted’, and her 11 ebooks include ‘How To Use LinkedIn To Find A New Job’.